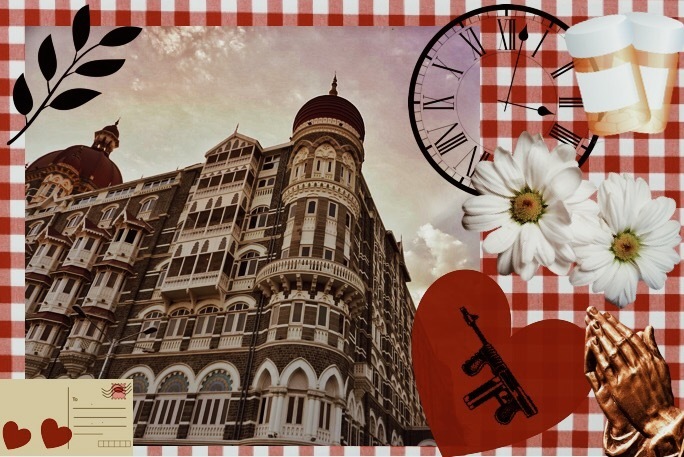 Out of these 12 attacks, 8 took place in South Bombay – occurring at CST, the Taj, the Oberoi Trident; at Leopold Café, Cama Hospital, Nariman House, Metro Cinema and the lane behind the iconic Xavier’s College. While these attacks caused mass physical destruction, blood shed, loss and widespread ‘global condemnation’, resulting in 164 deaths and 308 injuries – the effect it had on humanity – to this day – still however, remains obscured. While there are many accounts that chronicle the factual details of this heinous incident, there are very few that actually talk about the human experience of it – the unquestionable human aspect. Over the following week, as a tribute, marking the 10th year anniversary of the Mumbai Attacks, I’m presenting 3 real life personal stories of people. People who were not only present in the Taj during these horrific ‘Mumbai Attacks’ but also experienced an unprecedented range of human emotions as they navigated their way through this chaos. Survivors who lived to tell me their stories. In these stories you will not find blue prints of plans, war strategies, or even much of the names of the terrorists, for that matter; but what you will find, in fact, is a dichotomy of human emotions. Ranging from the manifestation of unimaginable fear, feelings of despair, hopelessness, panic, pain and in some cases even hostility, to flickers of empathy, optimism, selflessness, valiant bravery, an unquenchable desire for survival and even possibly humour in the most despairing of situations. In short, expect to find the good, the bad, but most importantly – the unexpected. Very eloquently written Rhea… A great tribute to the 10th Anniversary of the attacks. Keep up the excellent writing – Loving it! Very well written! Rhea and more so , I would say, very thoughtful of you to pay such a tribute and specially write about the human emotions that went through ones mind at those dreadful hours!!! Thank you so much, that was the whole idea. I think it’s really important to get an insight on what people mentally and emotionally go through during times like these. Truly well written….looking forward to read the personal stories.. Seems like yesterday. Very well written ! Thank you so much! 3 of them are up! Wonderful writing. The focus was absolutely perfect, ensuring true emotions were captured, and very tastefully shared through words.